« Shabbos at the Besht: Is there Only One Shulchan Aruch? University of Ottawa students voting at the SFUO General Assembly. Photo: SFUO / Screenshot. 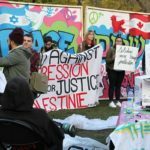 A motion supportive of the boycott, divestment, and sanctions (BDS) campaign against Israel was voted down at the University of Ottawa on Tuesday, marking the tenth successive failure for the movement on Canadian campuses. Initially the motion was erroneously announced as passed, only to be corrected ten minutes later, leading Shliach Rabbi Chaim Boyarsky to break out in dance with fellow Jewish students. 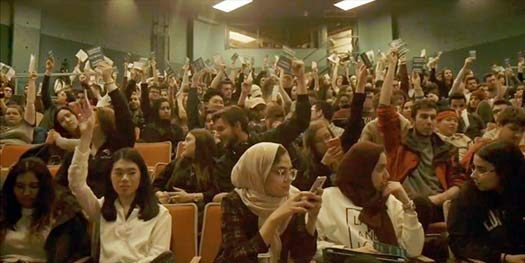 A motion supportive of the boycott, divestment, and sanctions (BDS) campaign against Israel was voted down at the University of Ottawa on Tuesday, marking the tenth successive failure for the movement on Canadian campuses. The measure called on the Student Federation of the University of Ottawa (SFUO) to endorse BDS and “take a Pro-Palestine stance,” and to express these positions in its policy manual. The chair of the SFUO General Assembly meeting where the motion was debated initially announced that “the resolution is adopted” with 241 votes in favor and 231 votes against — news that was met with whoops and shouts by some students, and the display of a large Palestinian flag. However, an unidentified member of the audience pointed out shortly afterwards that any changes to SFSU bylaws or policies need to be approved by a two-thirds majority. The record was subsequently corrected to indicate that the BDS resolution failed. Rabbi Chaim Boyarsky, co-director of the Rohr Chabad Student Network of Ottawa, said some Jewish students started crying when they heard that the BDS motion passed — only to celebrate after the correction was issued some ten minutes later. 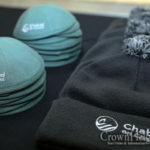 Chabad partnered with other Zionist groups — including Hillel Ottawa, Hasbara Fellowships Canada, the Canadian Jewish Political Affairs Committee, and StandWithUs Canada — to help mobilize the community against the vote. Some 500 people ultimately attended the forum, including about 200 Jewish students — and the ensuing debate was marked by impassioned arguments from both camps. Navine Ahmed, a uOttawa student whose message was read in her absence by her sister, challenged this characterization. 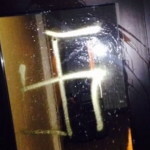 Eyal Podolsky, president of the Jewish campus group Hillel Ottawa, explained his own opposition to BDS by sharing anecdotes of antisemitism on campus, which he linked to the campaign. Huh?! Chabad is a Zionist group?! This article is copied from Algemeiner. chaim boyarsky is amazing. we should have many more like him! HKBH should give him everything he needs to continue his holy work! Who are all these disgusting looking women with shmates on their head? Not a large enough margin to pass, but hello?!? More than half the voters sided with BDS!!!! That’s terrible! They won, but with to small a margin to succeed, this time. Forget the dancing. You have to get out there and prove BDS is bad, wrong, and totally unjustified. A let those “refugees” like Shaad Khiladi, go back to Syria and Ian, and try to live as free women there. Hah! Leave a Reply to Huh? !